The Food and Drug Administration (FDA) has approved the dosage of a pill which is a digital pill. A digital pill is a medicine embedded with a sensor that can transmit the signal whether it has been taken. The approval for such medicine is no less than a milestone in the medicinal progress but it has at the same time raised a lot of privacy, cost and convenience concerns. The embedded sensor in the pill is called Abilify MyCite and it is manufactured in Japan by Otuska Pharmaceutical. Another tiny sensor which is made by a company named Proteus is as small as the size of a grain. The sensor is immediately activates when it comes in contact with the fluids in the stomach. The sensor easily records the time and date of when the medicine has been consumed. The sensor transmits the information to a patch on the patient’s hand. The patch then transfers the data to a smartphone application and the data is then shared with doctors, family or caregivers of the patient. It is a real breakthrough in the medicine technology. One such pill is already in the market to track patients of schizophrenia and bipolar disorder which was approved in the year 2012. Experts opine that the technology is really useful and it will change how the doctor’s relate their work to each of their patients. The technology will also put a little more responsibility on the doctors to track the information time to time to treat their patients well. 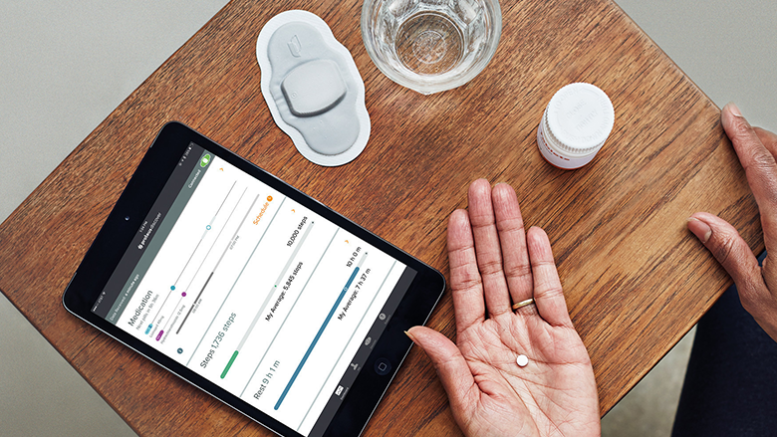 Be the first to comment on "A Pill That Prompts Your Doctor Whether It Has Been Taken On Time"